Referral marketing looks like the elixir of marketing. You are making your customers refer their friends to your business at no extra cost. Doesn’t that sound great? If you are a business owner, I know it does. But here’s the thing: creating a referral program isn’t hard. With software companies like ReferralCandy and Referral SaaSquatch, it has never been easier to create a referral program for your company. What’s hard is to make it work for your company. In most cases, your customers won’t care about getting a friend of theirs sign up for your company’s offer (whatever you have to offer) because they don’t see the value in it. It’s not that your referral program is bad, it’s that your customers won’t be motivated to use it, even if you give away a lot of money. Your referral program needs to have a few specific attributes that will make your customer want to share it with their friends. As you will discover, it’s not money. In this article, I will show you what really motivates your customers to share something with their friends, and how to apply it to your referral program. Before we get the nuts and bolts of the referral program optimization, we need to start by knowing what will make your customers refer their friends. We need to get inside the psychology of your customers to understand their motivations. Even if you follow all the common “best practices” that are all about the web, if your program doesn’t respect certain psychological principles, it will likely fail. The first thing you need to know is that, to your surprise, there’s a whole area of the psychology and economy fields that is dedicated to studying what makes people refer other people. This field is known as “Behavioral Psychology“. One of the world’s foremost experts on this particular topic is Jonah Berger, a pretty smart guy from Standford who wrote what’s probably the best book on the topic. 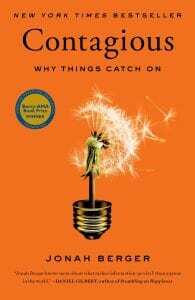 He called his book, not surprisingly, “Contagious: Why Things Catch On“. Social currency: We share things that make us look good or help us compare favorably to others. Triggers: Ideas that are easy to remember spread. Viral ideas attach themselves to top-of-the-mind stories, occurrences or environments. Emotion: Emotions move us in irrational ways. This means that when we care, we share. Public: People tend to follow others, but only when they can see what those others are doing. Practical: Humans love giving out advice and tips, but especially if they offer practical value. Stories: People do not just share information, they tell stories. These six factors are the psychological triggers that will make your referral program succeed. If you understand these principles, and if you use them in your referral program, your customers will share it with their friends. This doesn’t mean your program needs to hit each of the six factors. You may be able to fit only one or two. The point isn’t whether you are able to fit them all or not, it’s about making your program more likely to be spread out through your customers. In the next section, I will show you a few ways you can implement these attributes to optimize your referral program. Simon Sinek explains in his fantastic TED talk that companies like Apple have been able to achieve the extraordinary success that characterizes them because of one simple distinction: they started with why. Let me explain: companies that understand the purpose of their existence (that is, their why), are able to attract customers who share their fundamental beliefs. By saying why you do something, you can differentiate yourself from the rest. Focusing on the why of your referral program is directly tied with two of Berger’s STEPPS factors: emotions and stories. People share when there’s a story that emotionally affects them. By having a clear why you can tap on both attributes all at once. If they did that, no one would care. Have you ever hear someone say they love their HP, Dell or Lenovo computers because they are “great”? No, you don’t even hear someone defend one of those brands over the other ones. They are almost electronic commodities (at least for an Apple user like me). That’s the exact opposite of what happens with Apple. Their customers feel so aligned with their most loyal customers are pejoratively called “Apple fanboys“. They like Apple so much they even stay up all night outside their stores waiting for the doors to open so they can get their products first. That’s a huge change with the former one, and it’s the one that makes all the difference. If you want to apply the same kind of mindset to your own referral program, you need to understand your own why. First, you need to know why you do what you do, business and product wise. Then, you need to know why you want your customers to refer their friends. It’s not because you make “great products” or because “it’s cool to share stuff and get $10 off a future order”. The why behind your referral marketing program has to be aligned with your customers’ values, beliefs, and needs. Let me give you an example. 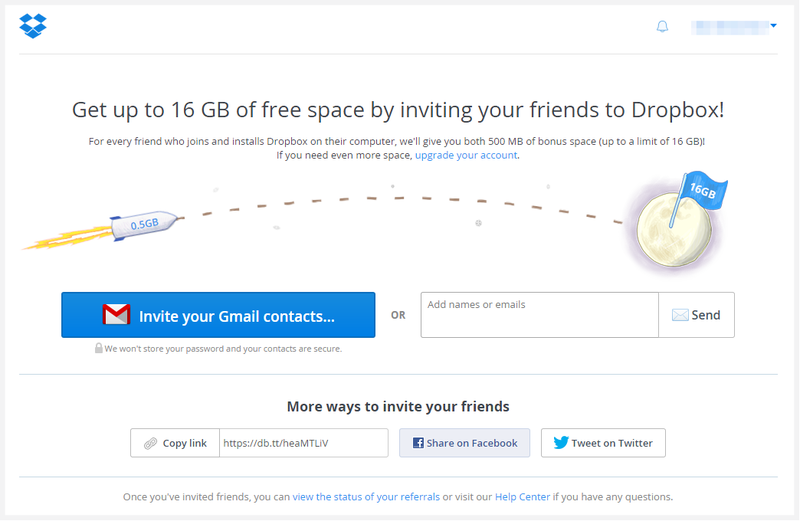 The referral program that helped Dropbox grow so fast early on had a clear why. It wasn’t explicit, just like the one from Apple, but it’s one you could easily understand as soon as you used it. If you look, they didn’t say: “We built a bulletproof, scalable, cross-platform cloud storage architecture to make file sharing easy. Join us!” (it hurts my eyes just to read that). They said: “Listen, you don’t like to carry your USB around whenever you want to take a file out from your computer. You want a beautifully designed and easy-to-use way to sync all your files in the cloud and do it without having to think about it. We want to make your life easier. Want to spread the love?“. Thanks to that flawless experience they created and amazing value proposition they offered their users, they were able to create a referral program with a 2-sided incentive which helped them permanently increase their sign up rate 60%. In April 2010, for instance, their users sent 2.8 million direct referral invites. Start by asking yourself, why are you doing this? Why do you want your customers to refer their friends? What value do they get in return? Don’t focus on the explicit value, like a $10 off. Also, based on your ideal customer, do they share their problems with their friends? 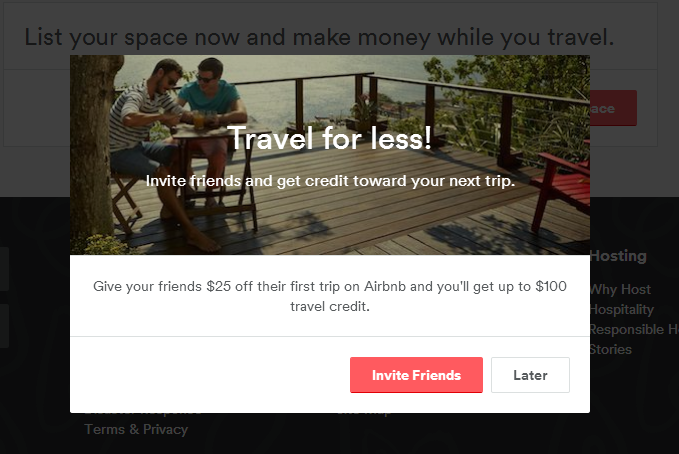 If they don’t, then why would you want to use a referral program? If they do, why would the share your products with their friends? Finally, you need to think: is referral the way to go? Do you have enough customers? Even if you do everything right, having a referral program with only a few dozen customers won’t make a difference. Wait until you have a few hundred, so they can start making the ball rolling. A good way to know if there is a possibility your referral program will succeed is to see if they share your products on social media without asking. That’s a big commitment (remember, social currency), and that shows a lot of passion, both about their problems and needs and for your products. Your customers will be truly motivated to use it, helping your company grow. A referral program has a clear benefit for your company: you get new customers without doing any extra marketing or sales. That’s great for you. But what about the customer? When they share something with their friends, they can’t risk the chance of looking like a fool. They need to be able to help themselves and most importantly, their friends. You can achieve this by being clear on the benefits your customers get. Think, what is it for them? What do they gain by referring their friends? If the problem you are solving is big enough for them, and if you have the right incentives in place, they will refer their friends to you. If you don’t, they won’t. This is tied with Berger’s Social Currency and Practical values. Remember that your customers will want to share something it makes them look good in the eyes of their friends. Also, they want to share something that’s of good use, something that will improve the life of those that are being referred to. Thanks to their referral program, Airbnb has been able to drive a 900% year-on-year growth for first-time bookings. No other acquisition channel in their company was able to get those results. Make a list of your referral program’s benefits. Since you should already know you’re why it won’t be hard to understand what you offer and its benefits. With that list, you need to think, what do your customers really get from you? Is it saving money? Is it saving time? Is it a better experience? Is it showing off? In order to find the true benefit, apply the “5 Whys” technique. That is, for every benefit you find, ask 5 times why it’s a benefit. Once you do that, you will get to the bottom of your benefit. Then, you will only need to show it clearly on your referral program page. You may have the world’s best referral program, but if your customers can’t find it, it won’t make a difference. Your customers have to be able to find the program, not only easily, but when they most need it. Let me break you down that last sentence, because in it lies the difference between a successful referral program and one that has no impact whatsoever. When they most need it. Why does it have to be found only by your customers? Because they are the only ones that will care about it. Since they know your company and the benefits of doing business with you, they will want to share it with their friends. But why a non-customer who hasn’t “feel” the benefits of your products would ever want to share them with their friends? There’s no social currency and practical value. Moving on, where do most companies show their referral program? Usually, somewhere in the user’s profile page, and in some other cases, in the site’s footer. It makes sense, to be honest. If you showed it on your homepage to anyone who visits it, it will be ignored. But if you show it where your customers hang out, then it makes sense to make it prominent and easy to find. Finally, there’s timing. Instead of just hanging your referral program in your footer so basically no one looks at it (I mean, who looks at footers anyway? ), you should show it to your customers when they are most likely to find its biggest practical value, when they’re the most emotional, and most importantly, when it’s attached to the right trigger (like after they finish a purchase). By showing them your referral program when they are most likely to care about it, you’re triggering the right action (i.e. refer their friends). One of the most effective ways to fit all these three criteria is to use email autoresponders based on certain actions or events (sometimes these are also called triggers, but they have a different meaning that Berger’s one). For example, if your customer just left a review on your product page (assuming it’s a good one), you could send them an email thanking them and showing them your referral program. 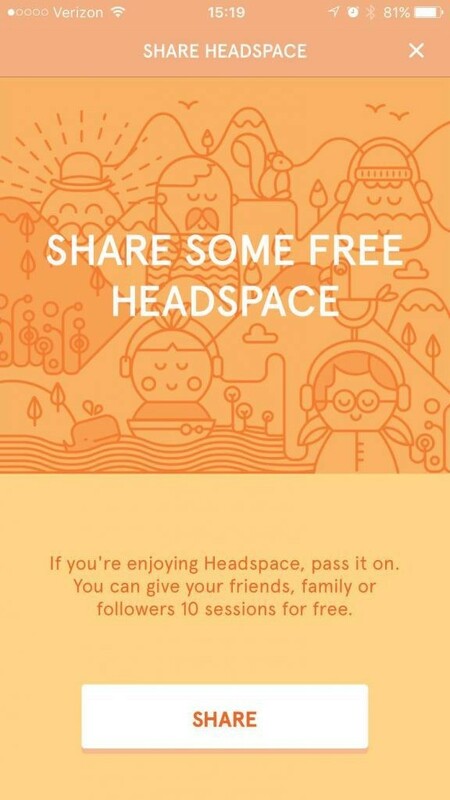 Or if one of your customers just used your tool after a certain amount of time (assuming that means it’s a positive thing), you can repeat the same process mentioned before, just like Headspace does. Start by defining your triggers. What is the key moment where your customers really get to see the value of your products? When is their “aha” moment? That’s your trigger. This is the moment when you want to show them your referral program, and make it easy for them to access and see. Besides that, where do your customers hang out? Is it on a Facebook page? Is it on a specific part of your website? Is it, like Airbnb, in a users page? Wherever it may be, make sure you show it prominently, and with its benefits. If there’s anything you need to remember when thinking about launching your own referral program is this: creating one is easy, making it effective isn’t. This article has shown you three science-backed ways you can make your referral programs more powerful. Now, the question is: are you ready to take these recommendations and apply them to your program? 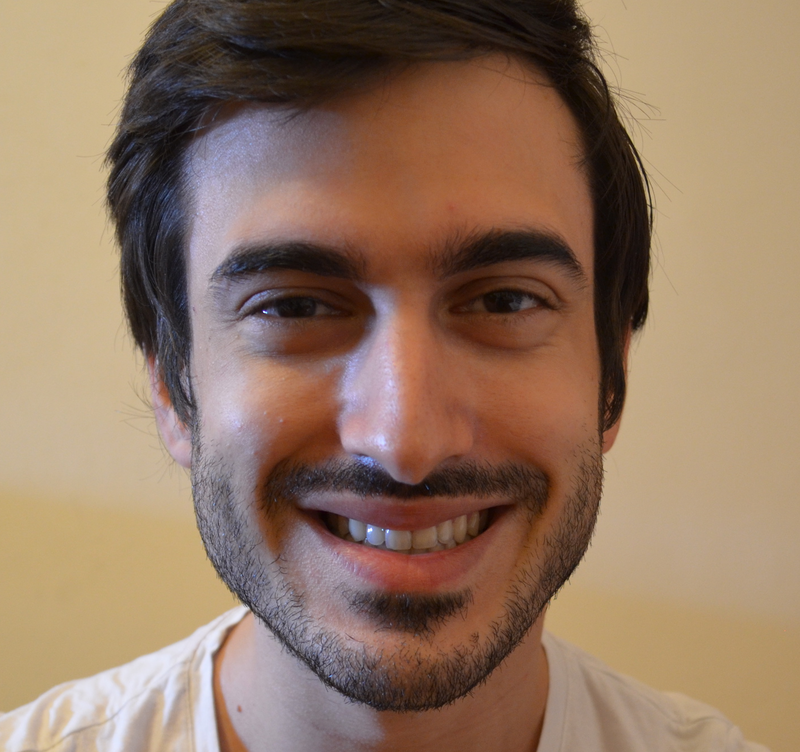 Ivan Kreimer is a content marketing consultant that helps SaaS business increase their traffic, leads, and sales. Previously, he worked as an online marketing consultant helping both small and large companies drive more traffic and revenue. You can follow him on Twitter and Facebook.